Headsets with Ear Cushions That Will Completely Cover Your Ears! The Supra and SupraPlus headsets have an additional ear cushion that can be purchased separately to help cut down on the noise level around you. With one or both ears completely covered, you can give your full and complete attention to your calls, instead of being distracted with the noise level of your coworkers. 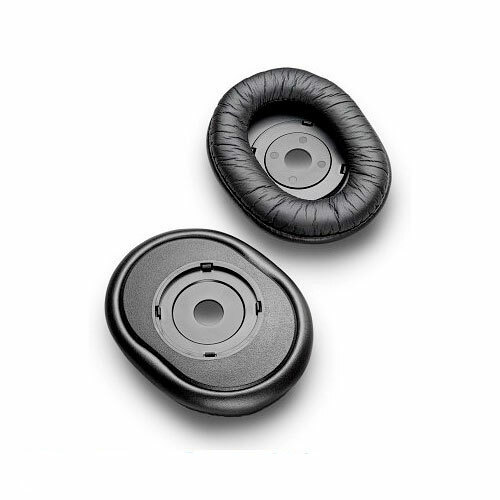 You just pull off the ear cushions that came with your headset and pop on the Circumnaural ear cushions. Now you can block out a lot more of that background noise that keeps distracting you when you’re on a call. If you have, or are purchasing, the SupraPlus H251/H251N or H261/H261N headsets (older models) or the HW251/HW251N or the HW261/HW261N headsets (newer models) you will need part number 83195-01. You can find the ear-cushions on each headset page under Accessories. For the much older models like the Supra H51/H51N or H61/H61N headsets you will need part number 22096-02. So make sure which headset you are using before you buy. If you need help determining your headset model just give us a call at 800-914-7996.